Diagnosing a car that shakes when stopped or idling but not while driving is much easier than trying to figure out why it’s vibrating while accelerating. This is simply due to the fact that the only part moving while you’re stopped is the engine. The good news is that you can be confident the rough idle issue is engine-related and you can focus all your troubleshooting in that area. The bad news is that an engine is as complicated as it gets when we’re talking about parts of a car. Over time, parts of your fuel system, namely fuel injectors, begin to get clogged up by carbon deposits, varnish, or other sediments. 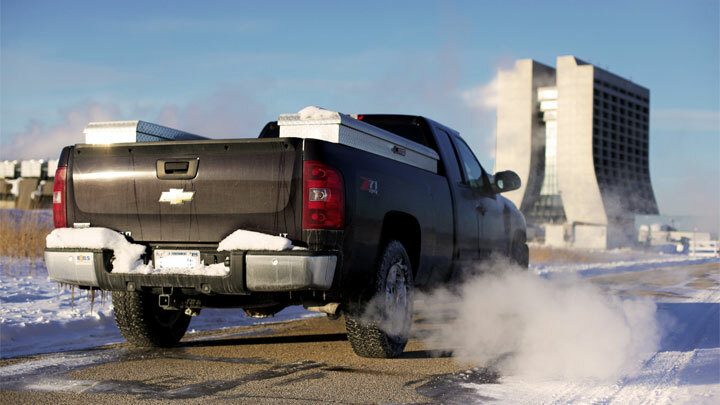 This causes uneven amounts of fuel being delivered with each engine cycle. When this happens, you car will shake, shutter, or vibrate while idling since the constant flow of fuel to the combustion chamber is being interrupted. 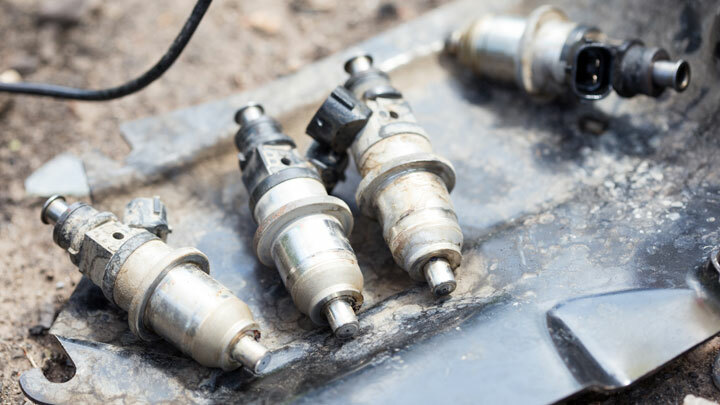 Clogged fuel injectors must be cleaned or in really bad cases, replaced. Often, using a good fuel system or fuel injector cleaner will clear things up. Cleaning the throttle body, which controls the amount of air mixing in with the fuel, is also recommended and throttle body cleaners exist for that very purpose. Bad spark plugs are another common cause of your car vibrating when stopped. 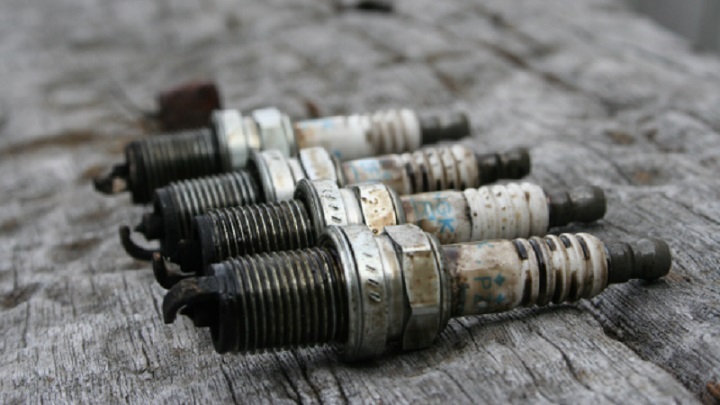 Dirt and carbon deposit build up will not allow your spark plugs to fire properly to ignite the fuel. This leads to the engine mis-firing which will feel like the vehicle is shaking at idle. 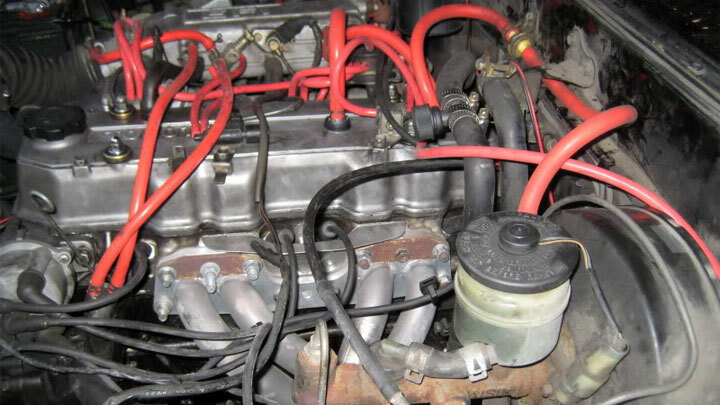 Unless you’ve done so recently, replacing your spark plugs can often make things right. There are many types of spark plugs so you want to make sure you’re getting the correct ones. You should always refer to your owner’s manual for the exact specs. The best spark plugs for your car may be totally different than the plugs your neighbor raves about. Often overlooked but happens more than you may think, a vacuum hose in your engine may pop off while driving or be accidentally disconnected when working on your car. When a hose comes loose, it can cause the engine to shake and vibrate and possibly even stall out. A crack or tear in a hose may cause the same shaking, although to a lesser extent. Check all hose connections to make sure they are securely attached. If a hose feels loose, you will need to replace it or it will just come off again. Small air leaks are the hardest to find. In those cases, you can spray some soapy water along a hose while the engine is running. If there’s a crack somewhere, the soapy water will temporarily seal the leak and you’ll notice a change in idle speed. A timing belt (or other serpentine belt) which is stretched, cracked, or partially torn can also cause your car to shake when idling. In case of a timing belt, it’s a warning sign of a soon-to-be timing belt failure which you should appreciate. 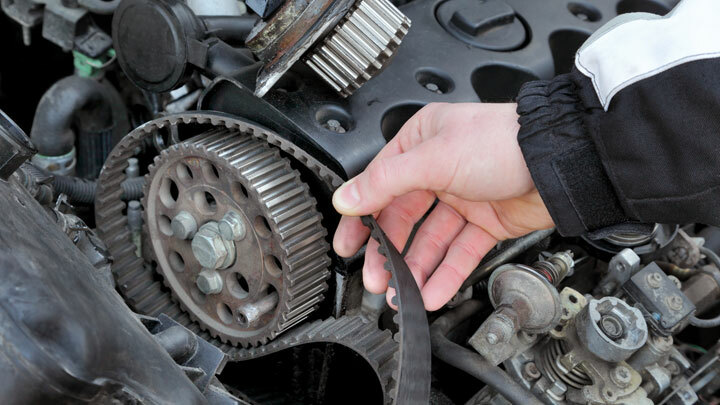 If your timing belt completely breaks, it can result in major damage to your engine. It’s critical to follow manufacturer’s guidelines when it comes to timing belt replacement intervals. While it’s not cheap to replace a timing belt since you’ll also be replacing the water pump in most cases, but failure to do so may cause thousands of dollars in damage. Along with an interrupted fuel supply (see dirty/clogged injector above), if your engine’s air intake is interrupted, it can also lead to your engine vibrating and not running as smooth as it should be. When your air filter is dirty or clogged, not enough air reaches the combustion chamber meaning not enough fuel is injected. This combination will cause your RPM to drop below the normal idle range (usually about 700 RPM), and your car will experience some shaking when you are stopped. In some cases, the RPM will drop low enough where the car stalls and needs to be restarted. 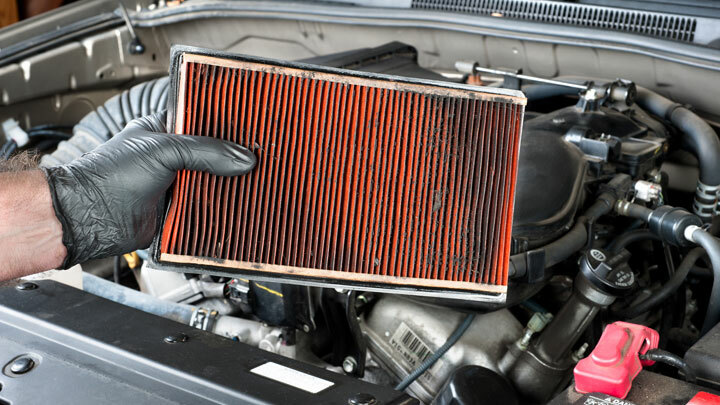 Fortunately, replacing an air filter is a simple do-it-yourself job and a new filter should only cost about $10-$20. Alternatively, you can purchase a re-usable air filter (such as K&N) which you can clean instead of replacing. It will cost you more up front but less money in the long run. If your fuel filter is clogged, not enough fuel will be getting from the fuel pump to the injectors. This will cause the same type of shaking as clogged fuel injectors since not enough fuel is getting into the engine. With a bad or clogged fuel filter, you’ll need to replace it. Since the fuel filter is often located inside the fuel tank or near it, it’s best to leave the job to a professional for most people. But if you have some experience, replacing a fuel filter isn’t too difficult for most vehicles. Since one of the jobs of a motor mount is to dampen engine vibration so individuals in the car won’t feel it, a broken motor mount will make itself known very quickly. 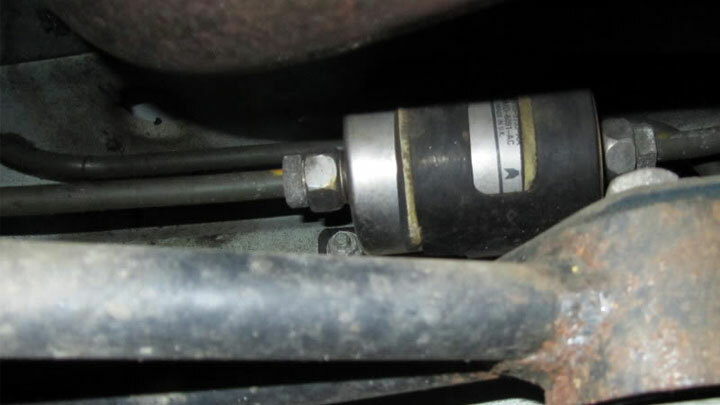 While a faulty engine mount will be more noticeable when the engine is working hard (like when accelerating), shaking and rattling at idle is usually noticeable as well. If you suspect a bad motor mount, you’ll want to take your car to a mechanic as soon as possible to confirm the issue and have the mount replaced. 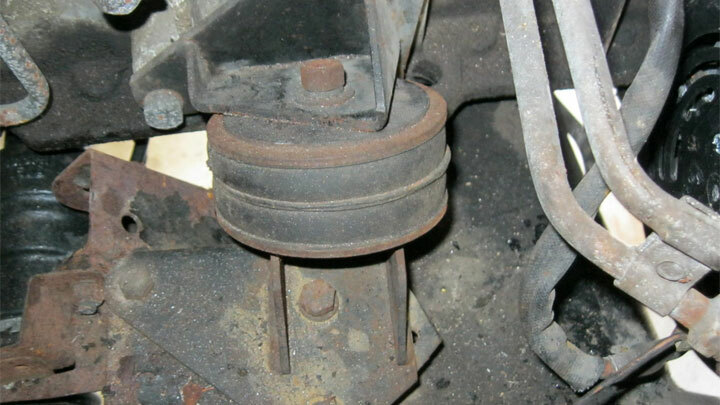 If left unchecked, it may cause other engine mounts to fail and even cause damage to other parts of the engine. For instance, the blades in the radiator fan can break from hitting the surrounding shroud because the engine is sitting lower than it should be due to a broken motor mount. Probably the least common reason for your car shaking while stopped, a bad mass air flow sensor (MAF) can be the culprit. Since its purpose is to properly calculate the air-fuel ratio for the engine, if it goes bad and sends incorrect readings to the car’s computer, the wrong amount of fuel can get injected into the engine at the wrong times. As already explained above, when not enough fuel gets into the engine than what’s needed, excess vibrating or shaking can be felt. A bad MAF will almost always cause the check engine light to go on so a scan of any stored diagnostic trouble codes can confirm the issue.